« MARY AMES MITCHELL & AMY MacDONALD Author Visit & Book Signing with Cannon Firing! 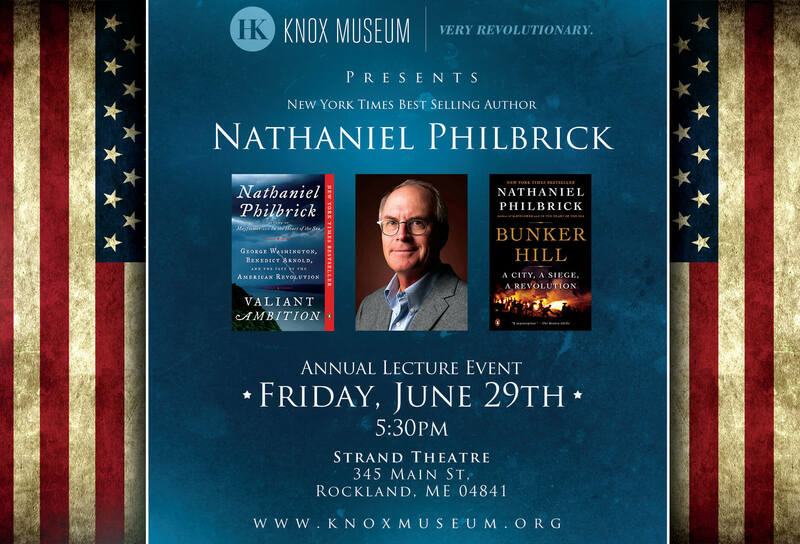 Nathaniel Philbrick, best-selling author of In The Heart of the Sea and Mayflower, will present the prestigious Knox Annual Lecture. Mr. Philbrick, who is a brilliant historian and captivating storyteller, will speak about and sign his book Valiant Ambition – George Washington and Benedict Arnold and the Fate of the American Revolution, which provides a stirring account of the deep and tragic relationship between George Washington and Benedict Arnold.